Kate Middleton is the author of Fire Season, awarded the Western Australian Premier's Award for Poetry in 2009, and shortlisted for The Age Book of the Year in Poetry. The poems of Fire Season draw on art, film, literature, myth and travel. 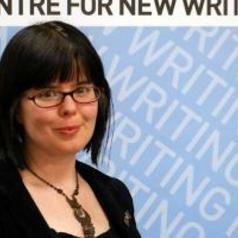 She completed her BA/BMus at the University of Melbourne in English and Composition. She holds an MA from Georgetown University in Washington DC, and an MFA in poetry from the University of Michigan, where she won Hopwood Awards in Poetry and Drama. She has written libretti for Alan Lee's opera Lapse, performed at Melba Hall and the Museum of Victoria in 2002, and for Donia Jarrar's Queen of the Night, performed at the University of Michigan Museum of Art in 2010. She is currently working on her second book of poetry. During her term as Sydney City Poet she will be based part time in the Creative Practices Area of the UTS Faculty of Arts and Social Sciences and will receive a stipend of $20,000 for the year, provided by Arts NSW . Her role will also include delivering workshops and seminars to interested students, poets and the general public and providing mentoring to less experienced poets locally, regionally and nationally. The Sydney City Poet is supported by the NSW Government through Arts NSW.